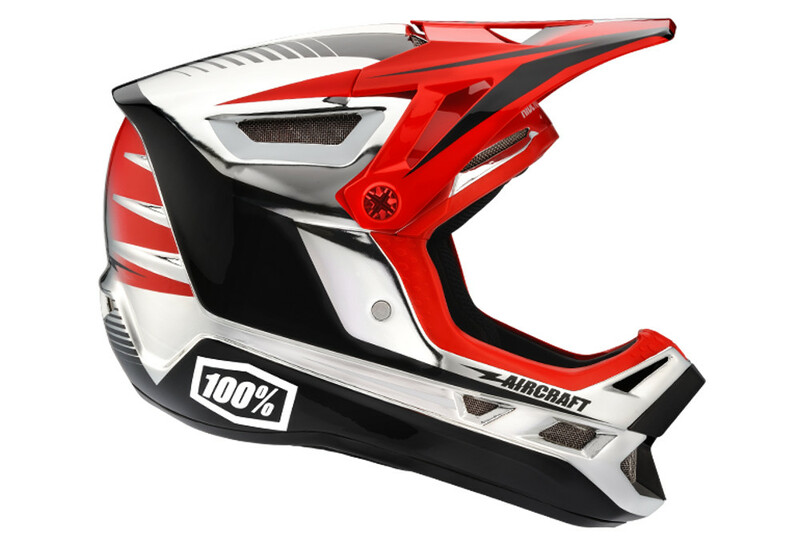 This premier Downhill MTB Helmet from 100% has landed. 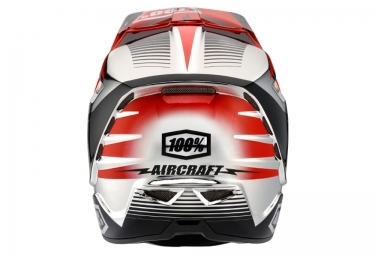 The Aircraft is precision engineered with a Carbon / Kevlar composite shell providing an ultra-lightweight design. Enhance venting channels manage airflow to create one of the most ventilated DH helmets on the market. 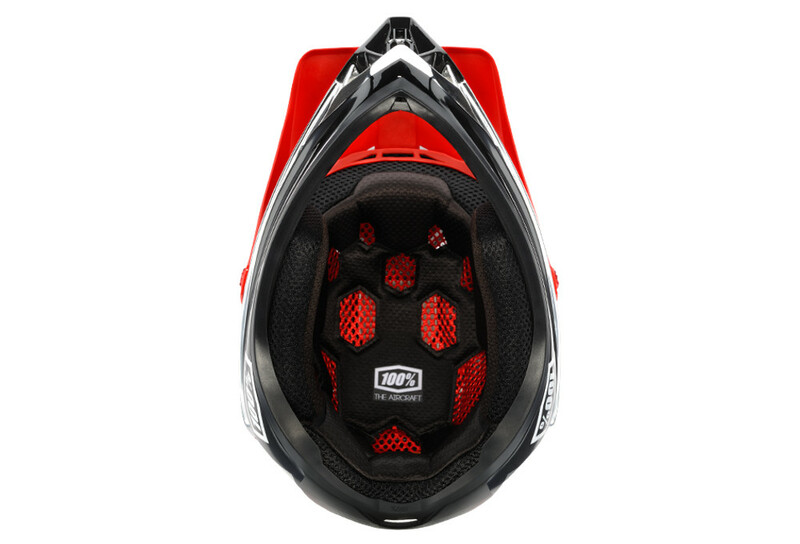 Ultra-light Design featuring aerospace Carbon/Kevlar composite shell. Active Cooling System maximizes airflow offering more ventilation than any other helmet. Comfort Liner washable, antibacterial liner, cheek pads and chin strap covers. Emergency release Cheek Pads for quick, safe removal. Integrated Compartment accepts inflatable emergency release systems. 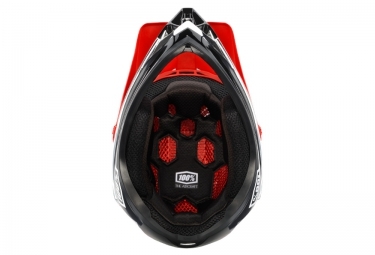 Compatible with most popular neck brace systems. Titanium D-Ring buckle provides a secure fit while saving weight. 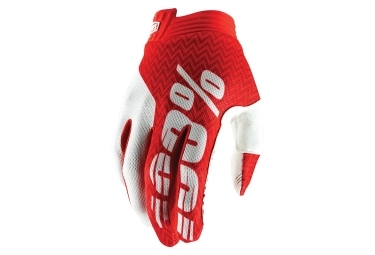 Perfect Fit engineered with 2 Shell Sizes and 3 EPS Sizes. Adjustable Visor with machined light-weight aluminum screws. 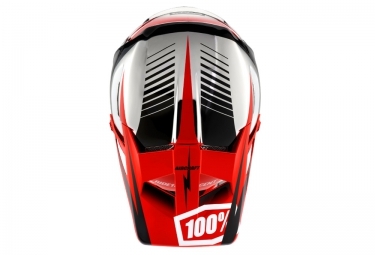 Durable helmet case with integrated goggle pocket included. 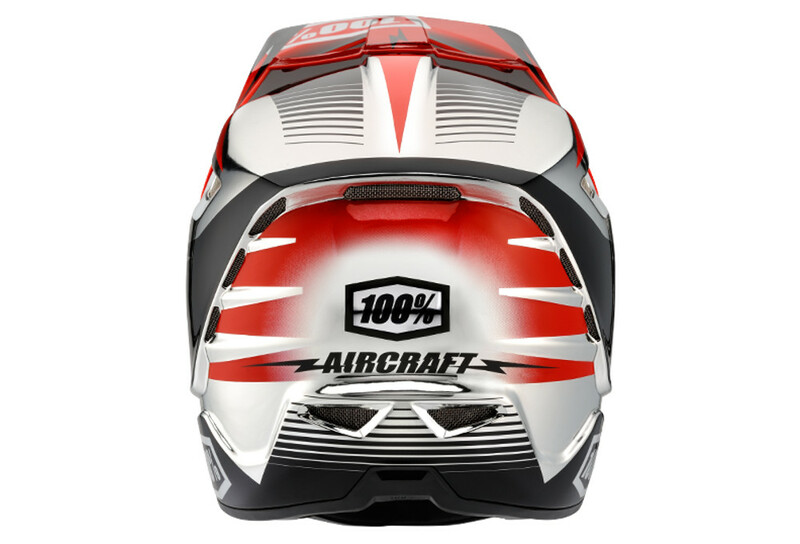 Casque Intégral 100% AIRCRAFT TWINBLAZE Chrome Rouge clasificado 3.0 de 5 por 1. Rated 3 de 5 por Franky de Confortable mais... Bonne qualitée dans l'ensemble et bonne ergonomie mais apres 1 mois, 2 sorties, aucune chute ni choc, la peinture se décolle,s'ecaille comme si il ne tenais pas sur la surface. Je reste un petit peu sceptique concernant la qualité de ces produits de chez 100%. Vraiment déçu....en attente de reponse sav. J'ai eu plusieurs d3 carbon et n'ai jamais eu aucun problème du genre. Pour moi casque 100% peinture brillante c'est fini.